We are a Research & Development Company. Our philosophy is to stimulate change and make the biggest possible difference to world food production. Through deploying the best non-chemical weed control technology possible, to as many farmers as possible, as soon as possible and as economically as possible. We believe in cyclic improvement in on-farm solution by combining engineering, science and feedback to continuously work towards better outcomes for farmers. At Seed Terminator we do things differently, if our solution isn't working within your unique farming conditions we want to know why so we can work together towards a solution that does work. You don't just buy a Seed Terminator you enter into a Research Partnership with a platform that accepts ever improving and tailored mill technology. To date all research and development activities have been privately funded and our policy is to continue this program and to reinvest profits back into Research and Development. Each prototype is being trialed in the field with experienced partners under appropriate Research & Development and Commercial agreements. Lab testing is an important part of our cyclic improvement. Technology development testing has been completed with the University of Adelaide on Gen 1 in August 2016 and Gen 2 March 2018 as well as independent research through SAGIT with Trengrove consulting from March 2017 to September 2018. South Australian Grains Industry Trust funded research conducted by Trengove Consulting in 2017 found ryegrass weed seed kill was 93% at 2250 rpm and increased to 98% or greater at normal operating speeds (2500–3000 rpm). 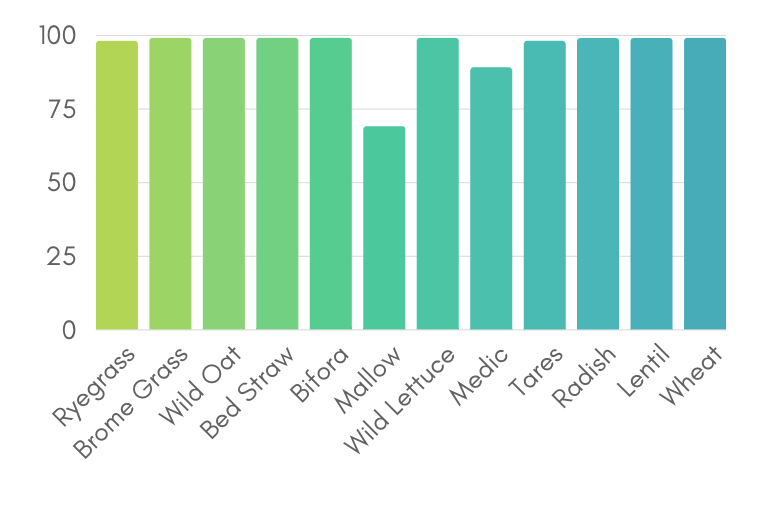 Results also showed than 99% control of several other species including wild radish, brome grass,wild oat, bifora, bedstraw and tares and increasing chaff flow rate (harvest rate) did not reduce control of these species. After a few late nights fitting up the Seed Terminator, Nick spent two weeks operating the harvester, trying different Seed Terminator configurations, different harvesters setups, measuring grain loss, living and breathing harvest. There are a huge number of design changes for the MY2018 Seed Terminators. If it is one thing we have learnt, it is that what works in theory and what works in the field can be miles apart. There is nothing like proof in the paddock; being able to test the machine in Canada prior to our Aussie harvest is a great opportunity to get a jump start on 2018 lessons. Header (nee Combine) Uptime is a big focus for us, the most important thing we can do is not interrupt your harvest operation. We have already implemented a few tweaks to the design based on the early results in the field. We are gathering information on how to operate our new blockage sensors and a bushel of knowledge (excuse the pun) on how to drive the machine. One of the things we had to deal with in the early Canadian harvest was an abundance of green weeds at harvest, mostly Kochia; driving to conditions the Seed Terminator 'ate her greens' without a fuss. Others include high harvest moisture (15-18% Canola, 20% Wheat, 18% Peas), cold temperatures (haven't had a day above 20 degrees yet), moist conditions including harvesting during drizzling rain and working through tough canola straw, so far she hasn't missed a beat! Early reports confirm the new AeroIMPACT 2.0 technology is able to replicate the increased capacity we saw in the lab, in the paddock; bring on Harvest 2018! A Kangaroo Island purpose built facility will provide direct access to farmland, harvest machinery and collection of crop materials, while combining science, engineering, feedback in a confidential space enabling us to create next generation technology. First set of tests in January 2018 show that 15-20% power reduction is looking very achievable within our current design framework. 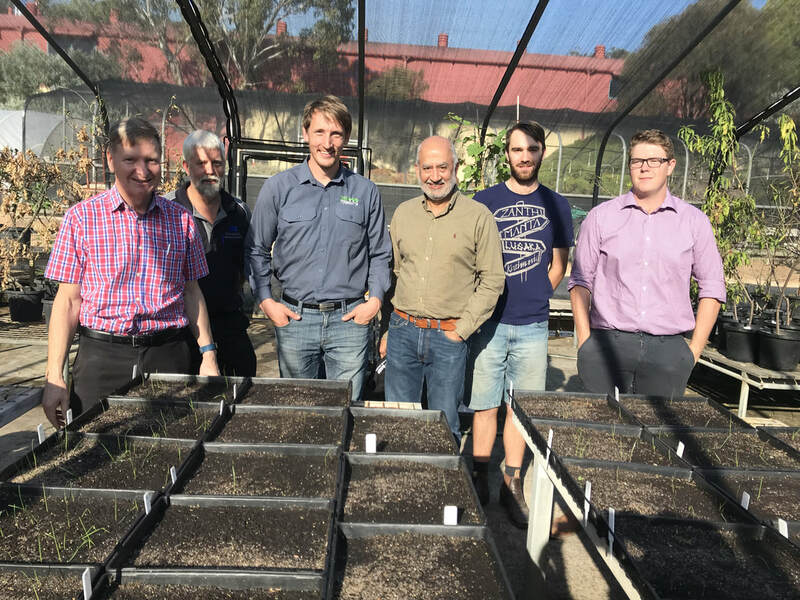 The South Australian Grains Industry Trust is using one of the three test stands to trial the Seed Terminator against a range of crops including Wheat, Canola, Lentils, Beans, Chaff laced with Ryegrass, Broom Grass, Turnip, Prickly Lettuce, Medic, Tares, Wild Radish, Bifora, Bedstraw, Marshmallow and Wild Oats. Early results show Seed Terminator is over performing. July 2017 Image above is of one of the three test stands: Pitot tube with hot wire anemometer to measure the air flow, torque transducer to measure torque, dustpan and broom to measure kill!